Graphic Stamps: The miniature beauty of postage stamps, is the first volume in a planned series titled The Archive Series – a bibliographic celebration of graphic design archives and collections. The first title in the new series is devoted to the design of postage stamps. Sourced from the collections of stamp design experts Iain Follett and Blair Thomson, the book celebrates the brilliance of postage stamp design from around the world, and highlights its importance in design practice, especially at a time when ‘the miniature’ is being reappraised in light of the move to mobile phone interface and the miniaturisation of interfaces and icons. The aim of the book is to provide a survey of the design of postage stamps, and to emphasis their importance as specimens of design on a miniature scale. 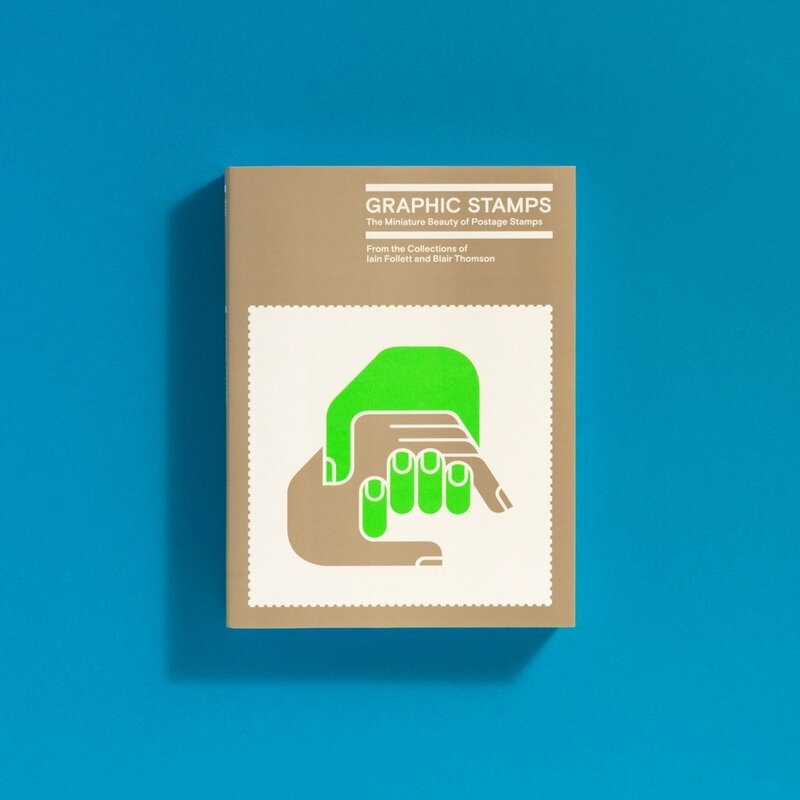 In text and image, the book makes the point that stamps are a neglected field of practice within graphic design. This is paradoxical when we consider the high levels of aesthetic and technical skills required to produce graphics for a tiny scrap of paper with perforated edges. in miniature; compression in space giving the same unity as compression does in the classical theatre.’ The work in this book is a powerful exemplar of Gentleman’s theory: intensity and clarity are exhibited on every page; compression and unity is in abundance.